A while back, I bought a copy of Rodale’s Naturally Delicious Desserts and Snacks by Faye Martin. It’s an out of print book, from 1978, but you can still pick up used copies from Amazon.com for only a couple of dollars plus shipping. I found the basis for this recipe in there, and once I made it, I just had to share. 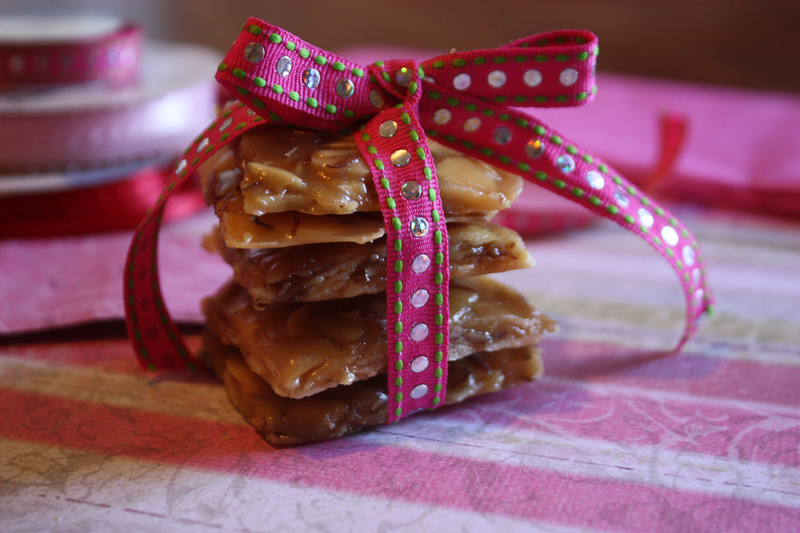 There are some similarities between it and my Honey Nut Brittle Candy Recipe, but this one requires no candy thermometer (yay!) and is almost fool-proof. 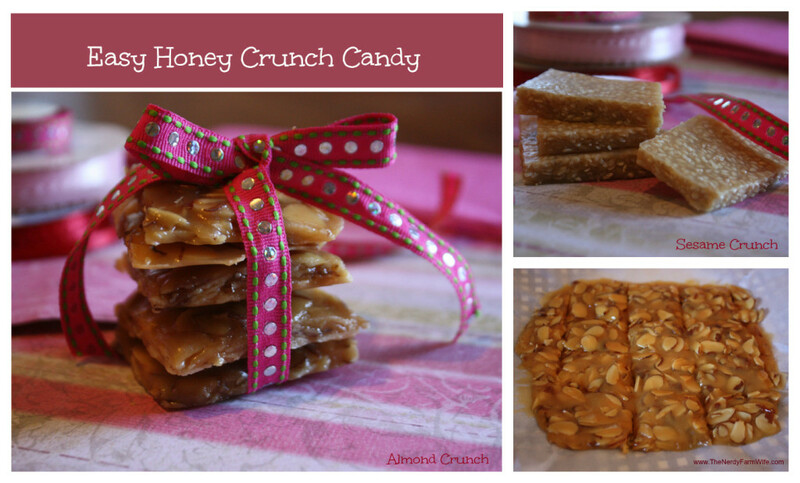 If you’re craving a sweet & crunchy easy honey candy treat in a short amount of time, this is the recipe for you! 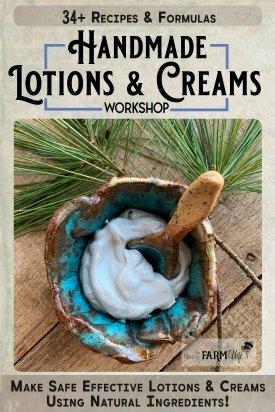 I did test this with coconut oil (using 1/4 cup oil instead of 1/3 cup butter), and while it did well in texture, there is no comparison to the flavor as when you use real, salted butter. So, if you do substitute, keep that in mind and you might want to add a dash of salt/vanilla/cocoa or other flavor-jazzer-uppers. Line a plate with parchment paper. In a heavy frying pan (I used a stainless steel skillet), melt the butter over medium heat. Add the honey and stir constantly for about three minutes. Add the almonds (or toasted sesame seeds), mix well and stir frequently for another 4 minutes or so, until the mixture starts turning golden brown. It will thicken as you stir. Spread the mixture onto the parchment paper and pop in your freezer for a few minutes. Using a buttered, sharp knife, score lines in the candy. Return to freezer and let cool completely. Cut/break into squares and enjoy! Store in the freezer or refrigerator. Makes 12 to 16 pieces depending on how large you cut them. 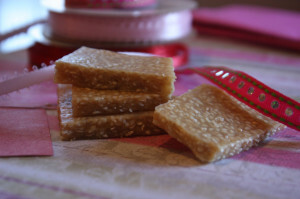 If you enjoyed reading about making honey crunch candy, let’s keep in touch! 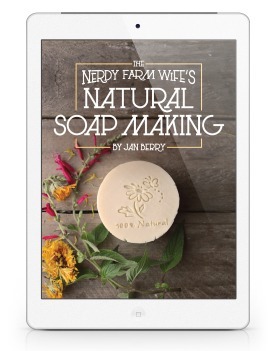 plus flower & herb projects sent straight to your inbox 2 to 3 times per month! Nice! I especially like the version recorded in 1963 by the British band, The Searchers. I believe that may be the one I watched!! Yummy! I have to make this for my children. I’m always looking for healthier treats. i’ve been looking for the recipe to make honey and seseame candy would this be it if a substitute the nuts? It hasnt totally solidifies yet and i am already eating it…. Ahh im bad, but it’s soo good. That’s my favorite way too! :) I’m glad you like it!